In Ghana, artistes who fail to win an award after getting nomination are trolled on social media for various reasons. Citing the aftermath of 2018 Vodafone Ghana Music Awards as a case study, artistes like Patapaa, King Promise, et al. were mocked by Ghanaians on social media simply because they failed to win in their respective categories. 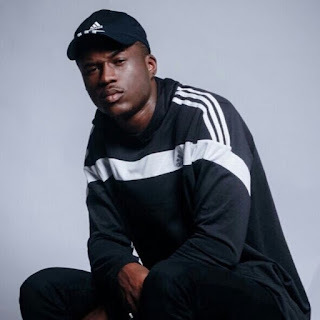 It’s in this light that Darryl Paa Kwesi Bannerman-Martin famously known as Joey B has taken a swipe at Ghanaians who take delight in making mockery of artistes whenever they fail to win an award following their nomination(s). 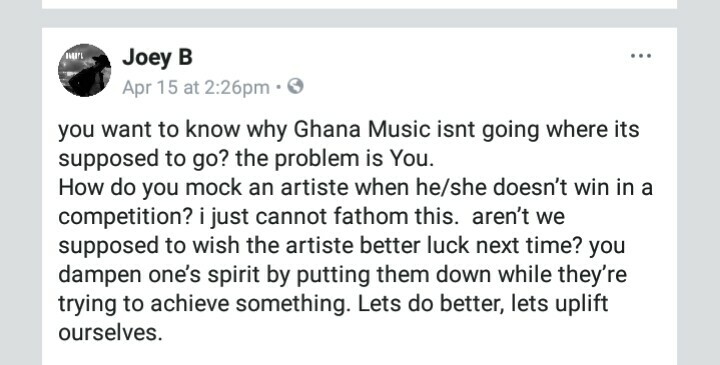 In the rightful thinking of Joey B, such artistes should be rather encouraged than hooting at them. For clarity sake, Patapaa and King Promise have really suffered in the hands of Ghanaians especially on social media following their 2018 VGMA loss. Therefore, it’s obvious Joey B was moved by how the aforementioned artistes have been maltreated for the past days. 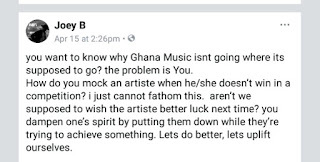 Joey B who couldn’t stand the trolls took to social media particularly Facebook to spit venom on those making mockery of some artistes because they failed to win an award.